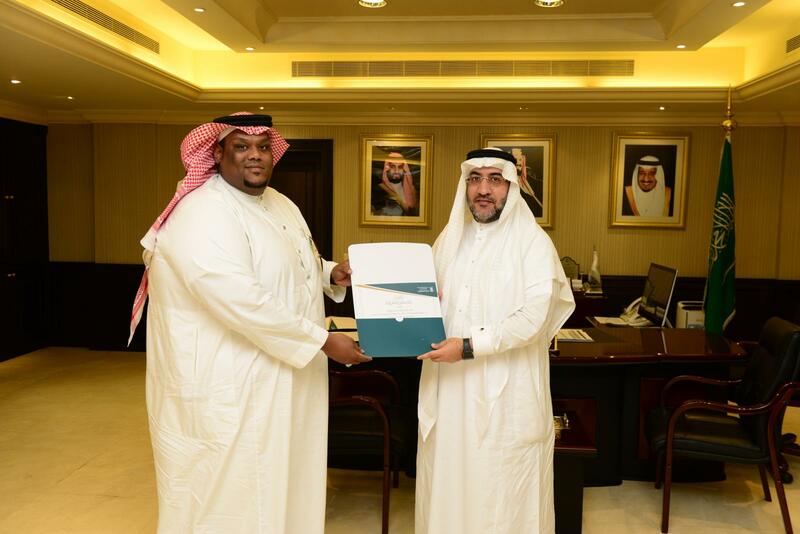 Dr. Yasser bin Sulaiman Shusho, UQU Vice-President, honored the staff involved in e-archiving from Scholarships Departments, the University Medical Center, the English Language Center, the Department of Procurement, the Deanship of Faculty Affairs, the Department of Public Relations, in the presence of Mr. Abdullah Al-Suliamany, head of Documents and Administrative Communications Center. 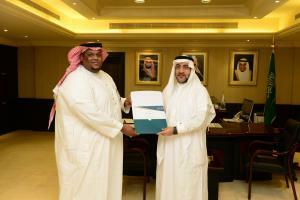 The honoring was at the UQU Vice-President’s office in Al-Azizia Campus. Mr. Abdullah showcased the university’s e-archiving system; elaborating that it was secured for the Documents and Administrative Communications Center. He considered this system one of the best systems in this field, which is distinguished by its link to the university’s electronic system. He added that the archive includes all the documents (papers-photos-videos-voice) according the departments. He added that the purpose of this e-archiving is to preserve the archives of the internal bodies of the university, which is supervised by the Documents and Administrative Communications Center; pointing out that these documents were classified according to the classification in force in government agencies, and this archive is characterized by non-repetition of files. In turn, Dr. Yasser Shusho, commended the directives of Prof. Abdullah bin Omar Bafeel, UQU President, which improve the educational, research and administrative environment in order to make Umm Al-Qura University reach the international universities level. He praised the efforts of the head of the Documents and Administrative Communications Center and all the team members working with him, wishing them success in reaching the electronic archive to all university documents, in line with the vision of the Kingdom 2030 towards e-governance. The staff members honored by Dr. Yasser Shusho and the collaborators of the Documents and Administrative Communications Center in the electronic archiving process are: Mr. Wael Shalsoum, Mr. Fawaz Al-Khatib, Mr. Ayman Banbila, Mr. Saad Al-Zahrani, Mr. Saleh Bahabri, Mr. Nezar Majrashi and Mr. Fahd Al-Mana’ai.